Discography in addition is labeled as discogram is presently used to establish whether the disk is the cause of pain in patients with primarily axial back or neck pain. Contrast material injected into the disk may increase intradiscal pressure. In an atypical disk, stretching of the annular fibers of the disk may excite nerve endings. 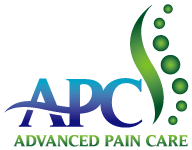 Biochemical or neurochemical stimulation that causes pain may be the result of an injection. Pressure at the end plates because of injections may be transferred to the vertebral body throughout the end plate, resulting in an increase in intra-vertebral pressure. This notion is supported by studies reporting disk injection resulting in end-plate deflection and augmented specimen height. The occurrence of pain on injection of a disk that is assumed normal may be due to transfer of pressure from the injection to an irregular, symptomatic adjacent disk, hence eliciting a positive pain response. Discographyshould be completed only if sufficient attempts at moderate therapy and noninvasive diagnostic tests, such as MRI, have failed to expose the etiology of back pain. Double-needle technique always should be utilized. Water-soluble contrast medium should be used when injection is performed. Precise needle placement is required to prevent annular injections, which could create false-positive results. Injection against the vertebral end plate can generate a false-positive response. Discography should be followed by CT scanning.